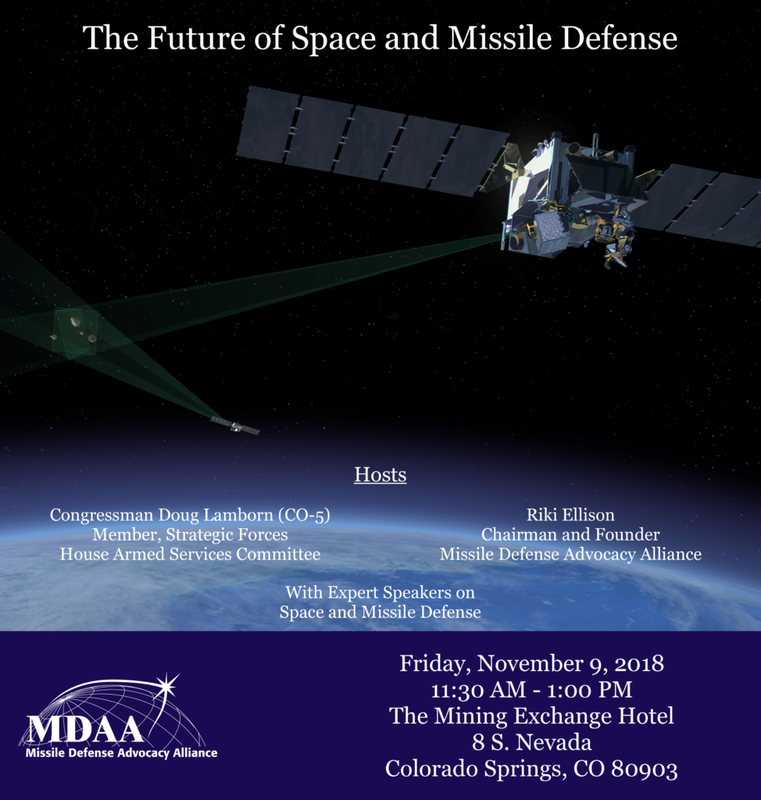 On Friday, November 9, 2018, from 11:30AM – 1:00PM, MDAA will co-host with Congressman Lamborn an off the record roundtable discussion, with space and missile defense experts, on “The Future of Space and Missile Defense.” The discussion will take place at the Mining Exchange Hotel in Colorado Springs, Colorado. With Expert Speakers on Space and Missile Defense. Please use the form below to RSVP for the discussion.